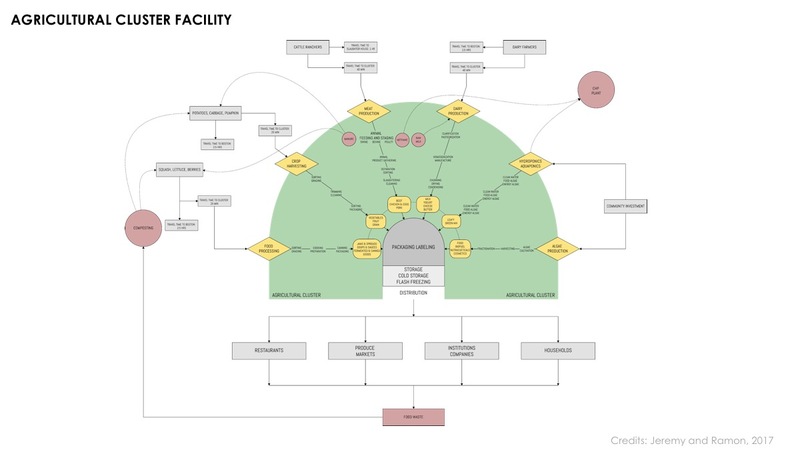 The nation's systems of producing, delivering, and consuming food are complex and intertwined. Consider, for example, that United States farms use 520,000 gallons of water per acre per year for irrigation, and lose 1.7 billion tons of topsoil each year, to grow the food that Americans eat. 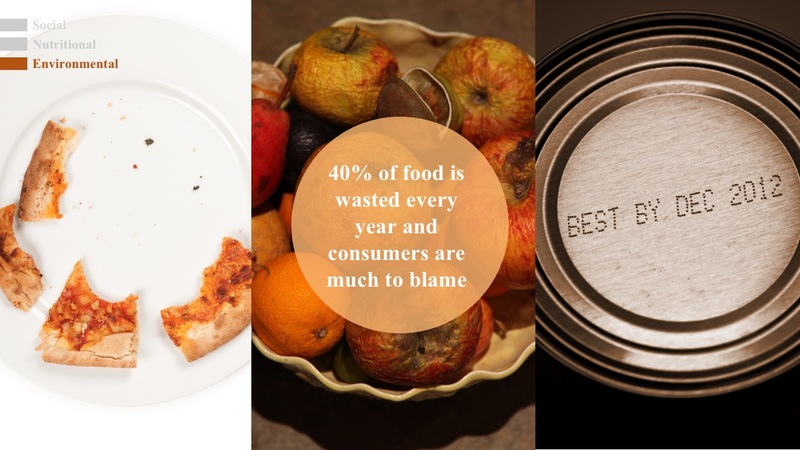 Of that food, more than 21 percent that is produced each year is wasted, ending up in landfills instead of on dinner tables. And with the food that IS consumed, barely half of the U.S. population meets federal guidelines for adequate consumption of fruits and vegetables. Americans waste 38 billion tons of food annually, which is enough to feed 190 million people for an entire year. 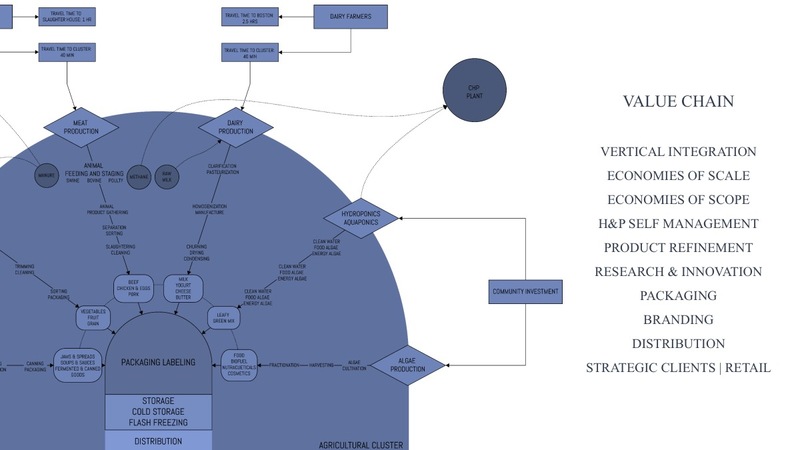 Identifying and implementing improvements to such a multi-scale system requires collaboration, innovation, and interdisciplinary team-based problem solving, which are all hallmarks of the Master in Design Engineering Program (MDE), jointly launched in 2015 at Harvard University by the John A. Paulson School of Engineering and Applied Sciences and the Graduate School of Design. Fifteen students, drawn from a variety of backgrounds and experiences, joined forces to tackle this open-ended problem through the program's Collaborative Design Engineering Studio, a core component of the program's first year. Team-based problem solving is at the core of the MDE program’s cohort-based model. Outside experts, both academics and practitioners, exposed students to a broad range of processes and infrastructures involved in feeding local and global populations, such as agriculture, livestock, processing, packaging, transport, preparation, marketing, consumption, compost, and disposal. From there, students developed comprehensive visions to respond to components of these challenges, and then crystallized those visions into concrete plans that could move forward into viable solutions. “What I found through working on a project in food systems is that a complex problem is so big and so messy that you either try to start out very small and do something that has a measurable impact, or you try to visualize the entire system, thinking that you can change everything theoretically,” said student Karen Su. 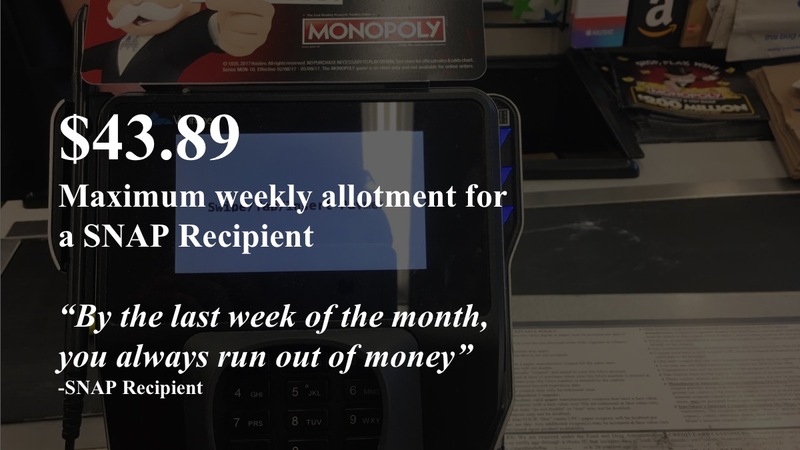 MDE students developed an app to help low-income individuals save money on healthy food. Su relied on her background in user experience design as her team developed a software platform to help food-insecure individuals make healthier choices. 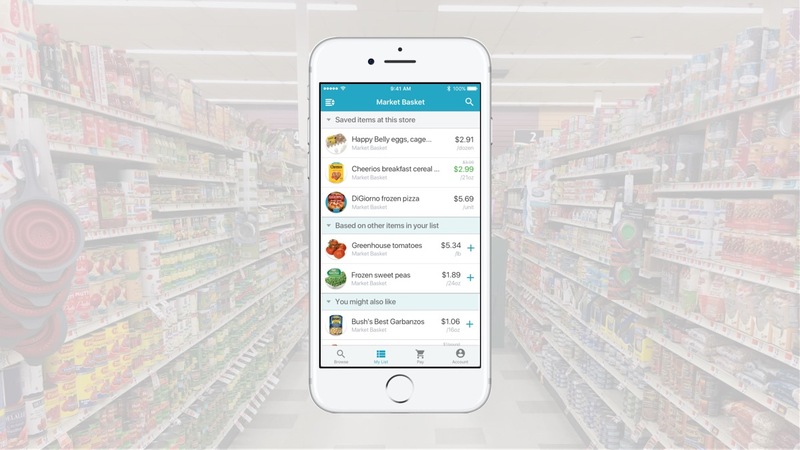 Their mobile app aggregates information like grocery prices and nutrition facts, and presents it in a user-friendly format. She said the team decided a software solution was the best method to simplify the abundance of food and nutrition information that often overwhelms low-income or less educated individuals. The Aretian clusters designed by a team of MDE students could enable year-round harvests of some crops. In answering such an unrestricted question, students’ solutions took on many different forms. Burke’s team took a high-level approach, examining logistical challenges that prevent small-scale farmers from consistently differentiating and offering products at a competitive price, even as governments and academic institutions sing the praises of local food production. 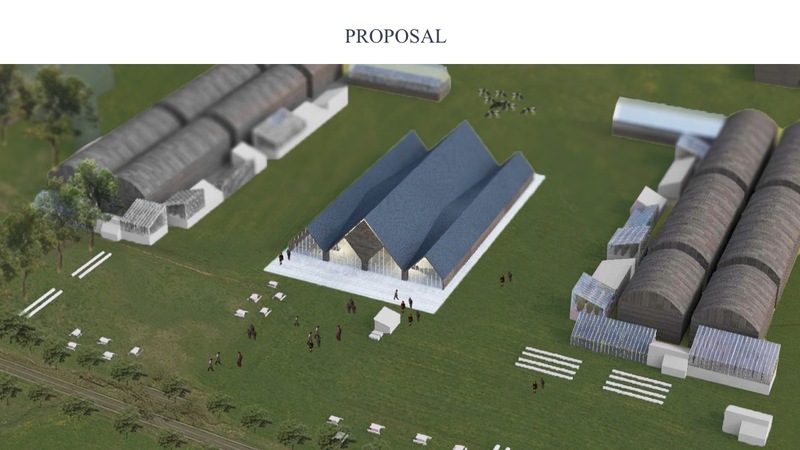 The agricultural clusters the student team envisioned incorporate everything from policy changes to infrastructure overhauls, in an effort to provide access to new technologies and processing systems that enable year-round harvests. Miles away from the fields, on the other side of the production cycle, lies Tastable, a student project which tackled a different food-focused piece of the problem. With Tastable, students hope to inspire individuals to move away from the lackluster nutrition of the processed foods that crowd grocery store shelves. By focusing on the end-user, Doan’s team hopes to drive change within the hyper-diversified food system, where homogeneity of sourcing, industrial food processing, and the prevalence of unhealthy frozen food and fast food with low nutritional value take an enormous toll on the health of individuals. Their unique solution drew on the expertise of four teammates with very different backgrounds: Doan, an architect, Julie Loiland, a bioengineer, Santiago Mota, an economist and architect, and Chien-Min Lu, a mechanical engineer and project designer. The opportunity to work in an interdisciplinary environment to solve real-world problems is one feature that attracted many of the students to the MDE program. The emphasis on collaboration challenged members of the cohort to see other points of view, but it was not the only challenge they encountered as they worked through thorny problems. Nayak said her team struggled with a lack of precedents in the “agrimetrics” problem they chose to solve. The team sought to find ways that subjective data on sustainability and resilience, for instance, could be included in the quantitative data financers use when making decisions about funding farmers. The subjective and informal nature of the project revealed a gap in scientific literature and formal reviews, so the team often focused on their own trial-and-error methodologies throughout the project. 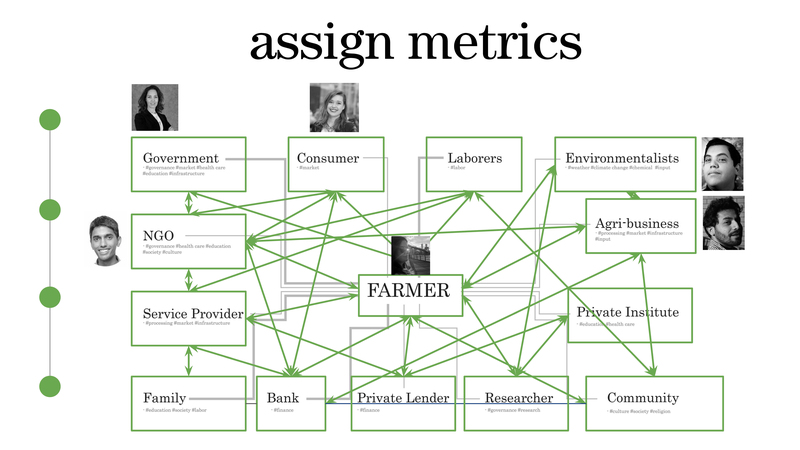 A team of students studied "agrimetrics" in an effort to incorporate more subjective data into the models financiers use when considering funding for farmers. For Nicole Bakker, the biggest challenges her team encountered resulted from the scientific studies they examined. In addition to helping students hone research skills and develop techniques for effective collaboration across disciplines, the MDE program incorporated contributions from 15 different faculty members, who brought their expertise in fields ranging from electrical engineering to entrepreneurship to landscape architecture. The goal of the program’s first year is to teach students project-based technical skills, with a focus on design thinking and problem solving, while imparting an appreciation of the real-world social, political, economic, cultural, and technical context that all design engineers must take into consideration. Those skills were vital for Nayak, as she and her peers slogged through their problem’s complexities one step at a time. “We are working between two fields where there is kind of this valley where nobody wants to explore, because it’s kind of muddy and dirty and that’s where all the problems are, and so those are the problems that often get swept under the rug,” she said. For students, overcoming obstacles as they fine-tuned their solutions over the course of the year often came down to relying on each other’s expertise. Loiland and her peers brought a wide range of perspectives to the program’s inaugural cohort. For instance, Gras is a civil engineer from Barcelona whose most recent work involved renovations at London’s Heathrow airport. Nayak is an aerospace engineer who handles communication protocols and avionics systems. Su’s degree is in media arts and sciences and her work involved software engineering at San Francisco tech startups. Joining forces to tackle a complex problem was a unique experience for the cohort, but also one that provided valuable career and life lessons. Students will utilize those skills in the second year of the program, during which they will complete independent thesis projects in the two-semester Comprehensive Design Engineering Studio. “I learned a lot from my cohort, the other students who studied mechanical engineering, computer science, and biochemical engineering. I think my background with architecture and structural engineering can help – not only help them, but also help myself about how to use this interdisciplinary method and explore broader fields,” said student Kun Fan. Looking toward the program’s next chapter, Gras was inspired by how collaboration drove his team to be edgy and innovative. His thesis, an effort to design alternatives for the future intermodal supply chain network for the Barcelona area, will incorporate a multidisciplinary combination of network theory, city planning, infrastructure design, architectural design, business, and logistics. It’s the kind of project he knows will require a collaborative, systems-thinking approach. As he prepares to confront this new set of the challenges in year two, he feels prepared to take them on with a newly open mind.